It takes strength, grace, and willpower to make a difference in today’s world and there is no denying that Ilhan Omar is steadily working hard to make a difference. She has been a prominent figure in America’s political landscape ever since. 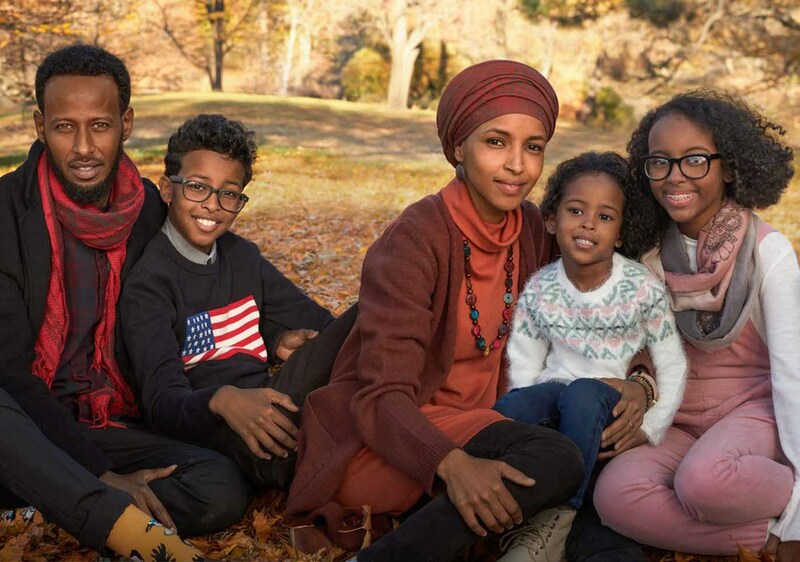 Omar gained worldwide attention as first Somali-American, the first naturalized citizen from Africa, and Muslim person to be voted into a legislative office in the United States. She is also the first Somali-American to land a spot in the U.S. Congress. A young, outspoken woman who champions progressive politics, Ilhan is a strong opposer of the immigrant policies by President Donald Trump and has advocated for affordable housing and healthcare, student loan debt forgiveness, as well as a living wage. Here’s everything you need to know about the Somali-American politician, Ilhan Omar. Who Exactly Is Ilhan Omar? With all the strides Ilhan is making in the American political arena, it is only natural to be curious about her. The politician’s life began on the 4th of October, 1981, in Mogadishu. Though born in Mogadishu, she spent her early years in Baydhabo, Somalia. Her father, Nur Omar Mohammed was a teacher but sadly, her mother, died when Ilhan was just two. As a result, she was raised by her father and grandfather. A civil war broke out in Somali in 1991, when she was about eight years old, forcing her family to flee the country. They stayed in a refugee camp in Kenya and lived there until 1995. In 1995, they moved to the U.S. to resettle as refugees and settled in Arlington, Virginia at first before later moving to Minneapolis, where she learned English. Expectedly, life in the U.S was difficult for the young Omar and in school, she was bullied for wearing a hijab by her classmates. Growing up, her grandfather taught her the importance of democracy and she even accompanied him to local DFL caucus meetings at 14 and served as his interpreter. This was when her interest in politics began. She attended Edison High School before moving on to North Dakota State University, where she graduated from with a bachelor’s degree in Political Science and International Studies in 2011. She was also a Policy Fellow at the University of Minnesota’s Humphrey School of Public Affairs. Ilhan Omar’s political career began when she started working as a community nutrition educator at the University of Minnesota where she worked from 2006 to 2009. She also worked as Kari Dziedzic’s campaign manager for his re-election campaign to the Minnesota State Senate. Ilhan served at the Minnesota Department of Education as a child nutrition coordinator within that time. She then managed Andrew Johnson’s campaign in 2013 when he ran for Minneapolis City Council. When he won, she served as his Senior Policy Aide from 2013 to 2015. Her first election was in 2016 when she ran on the Democratic-Farmer-Labor (DFL) ticket for the Minnesota House of representatives. She defeated Mohamud Noor and Phyllis Khan on August 9 in the DFL primary. Consequently, Omar won the general election in November 2016. This made her the first Somali-American legislator in the U.S. Her tenure began on January 3, 2017. Ilhan Omar later applied to run for the U.S House from Minnesota’s 5th congressional district on 5th of June 2018. She was endorsed by Democratic-Farmer-Labor Party and she won the August 14th primary election with 48.2% of the total votes. In the general election on November 6th, she contested against Jennifer Zielinski and won with 78.0% votes. This made her the first Somali American elected into the U.S Congress, the very first woman of color to serve as a U.S. representative from Minnesota, the first woman to wear a hijab on the House floor and also one of the first Muslim women elected to the U.S Congress. Read Also: Who Is Park Overall, Is She Married, Who Is Her Husband? Did She Really Marry Her Brother To Help Him Migrate To The US? Ilhan Omar was first married to Ahmed Hirsi, in the Muslim faith ceremony in 2002. However, the two separated in 2008 and shortly after, in 2009, she married Ahmed Nur Said Elmi. Sadly, they separated in 2011, and Elmi returned to England. Omar then petitioned for a divorce from Elmi in 2017 and later reconciled with her first husband, Hirsi. The pair officially got married in 2018. Despite the fact that there is no evidence that corroborates the rumor that her first or second husband is her brother or that any of her marriages were fraudulent, these rumors get revived every now and again. The good news is that there are no public records or credible sources that contradict Omar’s account of her past relationships.